Table decorations, toasting glasses, specialty picture frames, and more are available on our website. You may even be able to use some of the party items again at the wedding reception. Bridal shower invitations can be ordered from WhereBridesGo.com, as well as many entertaining party games. Guest books, table decorations, and even bridal shower gift record books are available too. 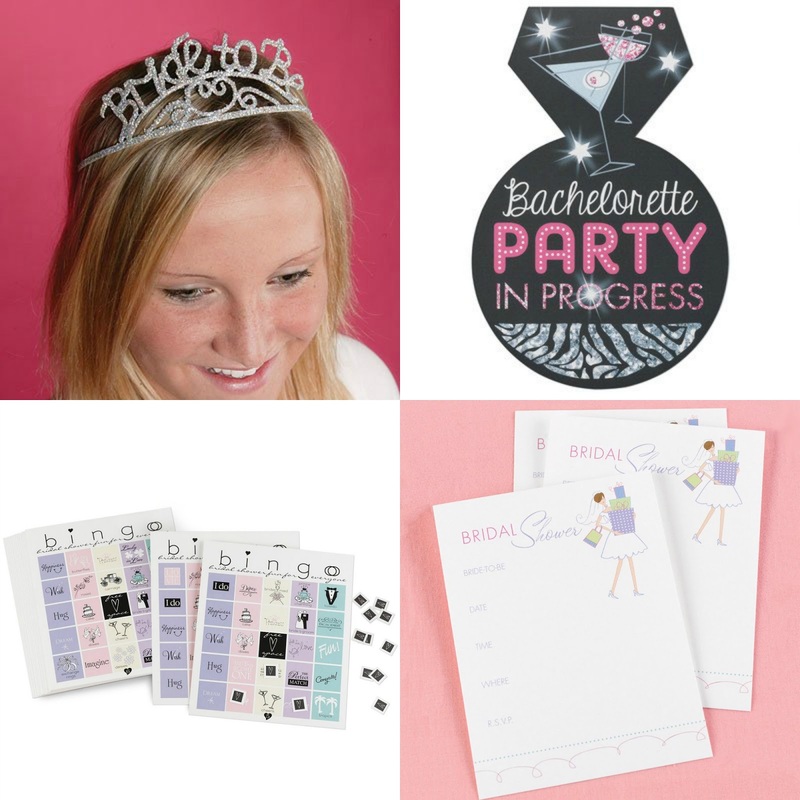 A little bit naughty and a lot nice, our bachelorette party supplies are perfect for the bride's last night out as a single lady. Bachelorette sashes, decorations, wine glass charms, party glasses, koozies, tiaras, favors, hangover kits, and so much more are waiting to be discovered. This particular item will need to be ordered, addressed, and in the mail 4-6 weeks before the wedding day, so it can be considered a "before the wedding day" item. You will find a wonderful variety of colors and styles on our website of DIY invitations that are ready to have your information filled in and printed out. 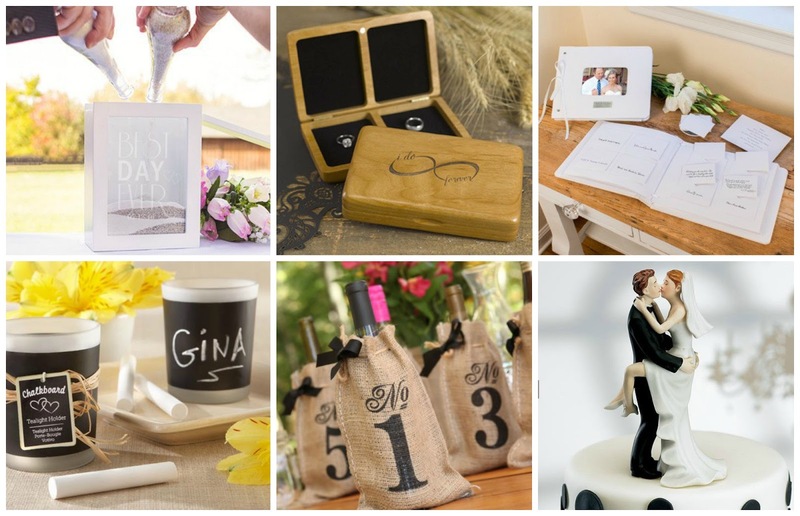 The majority of our wedding supply store online is filled with lots of lovely things for your ceremony and reception. There is absolutely no way for us to list them all in this blog, but a quick click over to WhereBridesGo.com will show you everything below plus a whole lot more! Whether you are shopping by color, theme, or type of item, you will find wonderful things within our store's pages. The fun's not over once the reception ends! You've still got the honeymoon to look forward to, plus a long, happy life together. We've got some things to make those time even more enjoyable. WhereBridesGo.com even has a few fun items for you to take along on your honeymoon to let everyone know that your are newlyweds. Find everything from passport covers and luggage tags for the airport to beach tote bags and adorable bridal flip-flops for a honeymoon in the sand. The "Gifts" tab on our website not only features excellent gifts to give your parents and the wedding party, but also incredible things for the bride and groom to use in their everyday life. There are lots of beautiful items for the kitchen, blankets, picture frames, home decor, and lots more. Our online gift store is even a great place to visit when you need to find the perfect, personalized present for someone. No matter what type of wedding you want to host, our online wedding store is very likely to have tons of things that not only the bride loves, but the groom as well! Take some time to browse the many useful and beautiful items for sale on WhereBridesGo.com, and you may be able to get most of the shopping done for your wedding all in one place.